Alleged Navy Yard Shooter Got Clearances Despite Troubled Past : The Two-Way Aaron Alexis, who police say killed 12 people at the Washington Navy Yard, had a troubled service record and showed signs of mental instability. But the former Navy reservist's past did not prevent him from obtaining a secret-level security clearance or access card. 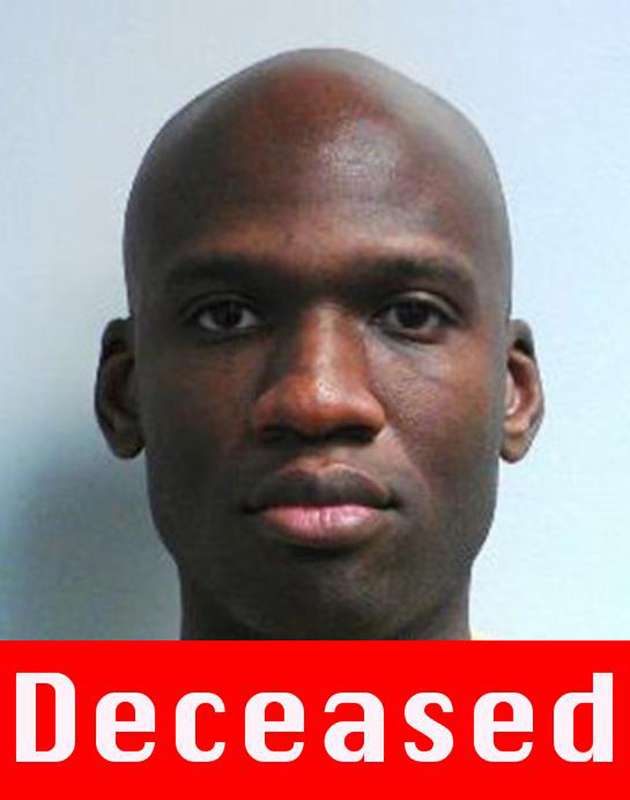 Police say Aaron Alexis, who was killed Monday, gunned down 12 people at the Washington Navy Yard. A day after police say a 34-year-old civilian contractor and ex-Navy reservist killed 12 people at the Washington Navy Yard, questions are being asked about how a man with a troubled service record and signs of mental instability had clearance to be on base. Aaron Alexis, the suspected lone gunman who was killed by police in Monday's attack, was issued a "secret" level government clearance in March 2008, some three years before being discharged from the Navy, NPR's Tom Bowman said, citing Pentagon officials. A secret clearance is normally good for 10 years, according to the website ClearanceJobs.com. At the time of the shooting, Alexis was working for Hewlett-Packard subcontractor The Experts on a Navy-Marine Corps computer project at the Navy Yard. In a statement sent to NPR, The Experts confirmed that Alexis had been employed "for approximately six months over the last year." The Experts said its latest background check for Alexis "revealed no issues other than one minor traffic violation." However, at least three arrests have come to light since 2004, as well as an incident last month in which Alexis said he was hearing voices. On Aug. 7, police in Newport, R.I., responded to a complaint at a hotel where Alexis was staying. Alexis told officers that at least three people were using "some sort of microwave machine" to follow him with the intent of keeping him awake. A police sergeant contacted the Naval Station Police, according to the official report. The Experts said it used an outside service to perform two background checks on Alexis and confirmed twice through the Department of Defense that he had a secret clearance. As Bowman reports, a secret clearance — unlike a "top secret" classification — is fairly routine for contractors and in the military. It involves at least a rudimentary background check and/or a face-to-face interview with the person seeking clearance. A secret clearance "is no big deal and does not require a lot of questions," Bowman says. In 2011, ClearanceJobs.com said that "541,097 government contractors held confidential/secret clearances," and a roughly equal number held "top secret" clearances. Alexis would have had to undergo another background check in order to obtain an access card to gain entry to facilities such as the Navy Yard. He reportedly used a valid "Common Access Card" — or as it's called in the military's acronym-laden vernacular, a "CAC" — to get onto the base Monday. 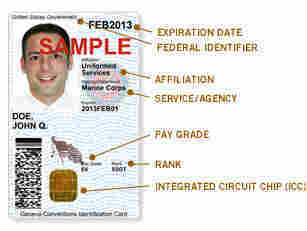 A Department of Defense website describes the access pass as "a 'smart' card about the size of a credit card" that serves as "the standard identification for active duty uniformed service personnel, Selected Reserve, DoD civilian employees, and eligible contractor personnel. It is also the principal card used to enable physical access to buildings and controlled spaces, and it provides access to DoD computer networks and systems." The website outlines a four-step process for obtaining the card — which includes being "sponsored by a DoD government official or employee," successfully completing a background investigation that includes an FBI fingerprint check and a "National Agency Check with Written Inquiries (NACI) check." It isn't clear why Alexis' troubled history apparently didn't raise red flags during background checks for his security clearance or access card. A Navy official tells NPR's Bowman that it was a quick way to get rid of Alexis who was "not making it as a sailor." "It was time for him to go," the official said, adding that Alexis had "multiple" unauthorized absences from 2008-2010, as well as an insubordination charge in 2008 and a "disorderly conduct" charge in 2009. Before and during his enlistment, Alexis had run-ins with civilian law enforcement. In 2004 in Seattle, he was arrested for "shooting out the tires of another man's vehicle," according to his statement to police. Alexis blamed the incident, in part, on post-traumatic stress disorder related to his "active participation in rescue attempts on Sept. 11, 2001," although it is unclear whether he was indeed a first responder at the time of the terrorist attacks. The Associated Press reported Tuesday that Alexis was "thrown out of a metro Atlanta nightclub five years ago and cited for disorderly conduct." The AP says he received a citation from local authorities after he "damaged furnishings" inside the club, and that outside "he wouldn't stop swearing despite being told several times." In 2010, Alexis was briefly detained in Fort Worth, Texas, after firing his gun through the ceiling of his downstairs neighbor. He told police the firing happened accidentally as he was cleaning the gun, though the neighbor believed it was done deliberately. Arrests such as the ones in Georgia and Texas "would likely pop up" in background checks, NPR's Bowman reports, "though he was [never] convicted." With the proper identification, it's unclear how much scrutiny Alexis would have been subject to at the Navy Yard. Jeffrey Addicott, director of the Center for Terrorism Law at St. Mary's University in Texas, tells The Baltimore Sun that it is nearly impossible to search everyone coming on to a military base. "Given the task at hand, they've done remarkably well," Addicott tells the newspaper. "If you think about the thousands of people who go on to military bases, it's impossible to stop and search every car." He also notes that Pentagon officials "need to improve their advance screening of military personnel for signs that they could become violent." "If you're trying to stop them at the gate, you're too late," Addicott says. "We need to have better screening processes." "Military posts often are perceived as safe havens where war-weary troops can let down their guard. But the reality is far from that after a string of shootings and one foiled terrorist plot at Fort Hood, when a soldier who had planned to attack the base was caught with bomb-making materials and a handgun at his hotel in Killeen [Texas]." "Still, after the [Nidal] Hasan massacre, motorists driving onto military installations are rarely searched. Random searches are conducted at Joint Bases Randolph, Lackland and Fort Sam Houston in San Antonio, but Addicott called those few and far between." Terrorism expert John Michaud, a retired member of the Naval Criminal Investigative Service who is director of the School of Legal Studies at Husson University in Bangor, Maine, told Reuters that it's difficult to predict or prevent such attacks. Hours later, the news agency reported that U.S. Navy Secretary Ray Mabus has ordered a review of physical security at all Navy and Marine Corps installations in the wake of Monday's mass shooting. "Certainly security will be reviewed, but no security precautions will protect all the people all the time," Michaud told the news agency. "If someone is willing to forfeit their life, it is much more difficult to deter them. That might be the case here."